The Collegiate Championship will be a Swiss-style tournament. 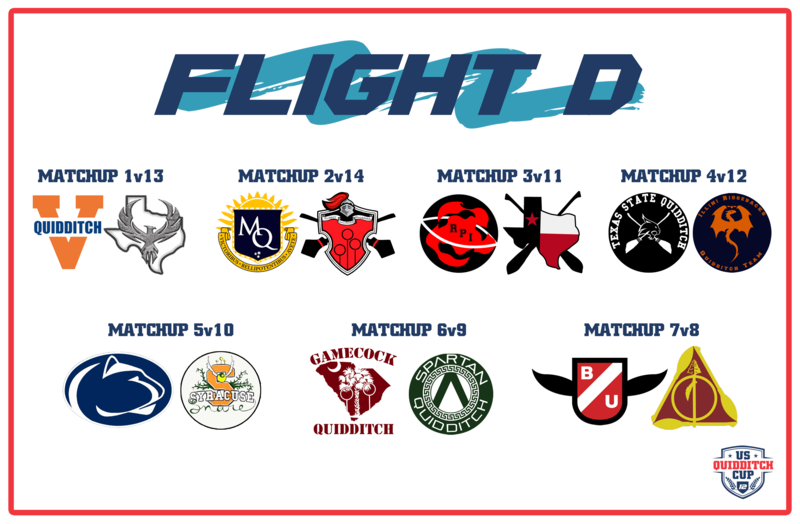 Teams will compete in four (4) flights, playing four (4) games each on Saturday. 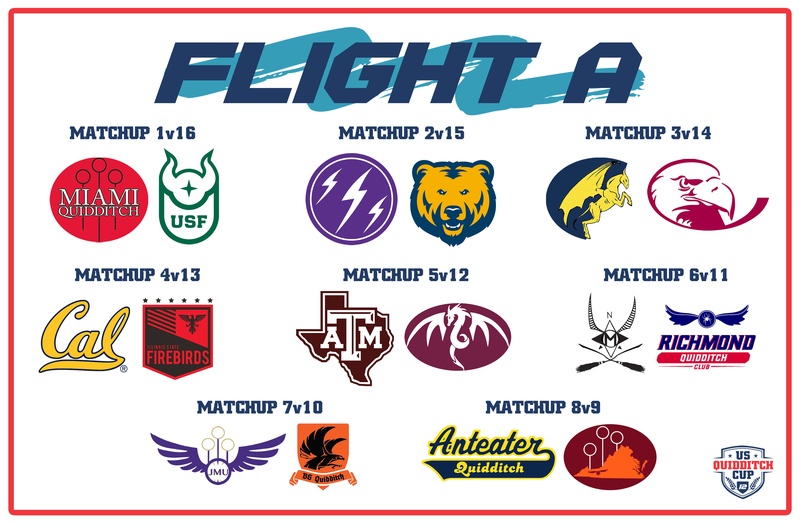 Two (2) flights will have sixteen (16) teams, and two (2) flights will have fourteen (14) teams. 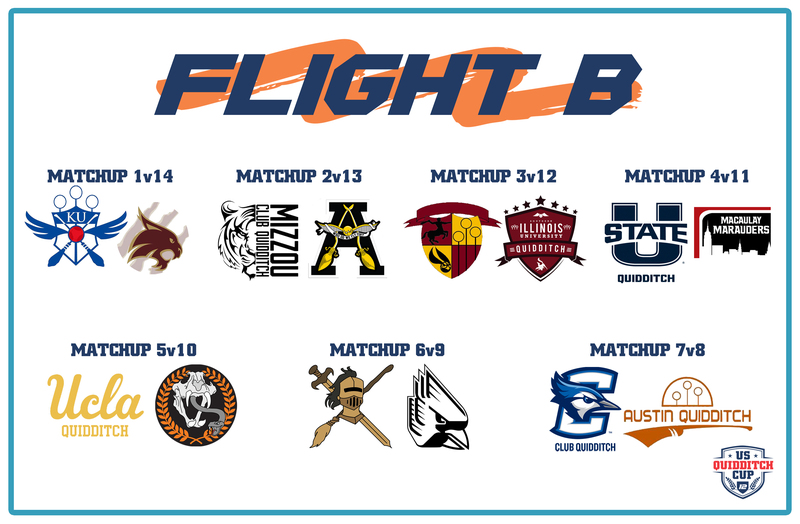 Teams will only compete against other teams in the same flight. On Sunday, teams will compete in a 44 team bracket. All teams that end Saturday 4-0, 3-1, or 2-2 will move on to bracket play. Teams that went 2-2 on Saturday will first compete in a play-in round before entering a 32-team single elimination bracket. If fewer than 44 teams have at least two wins, then the highest seed in the bracket play-in game will receive a bye for the play-in round and move directly into the 32-team single elimination bracket, then the second highest seed of the play-in round, and so on. Teams in this flight will play on Saturday at 9:00 AM, 12:15 PM, 3:30 PM, and 6:45 PM. The list below is in alphabetical order. Teams in this flight will play on Saturday at 9:45 AM, 1:00 PM, 4:15 PM, and 7:30 PM. The list below is in alphabetical order. 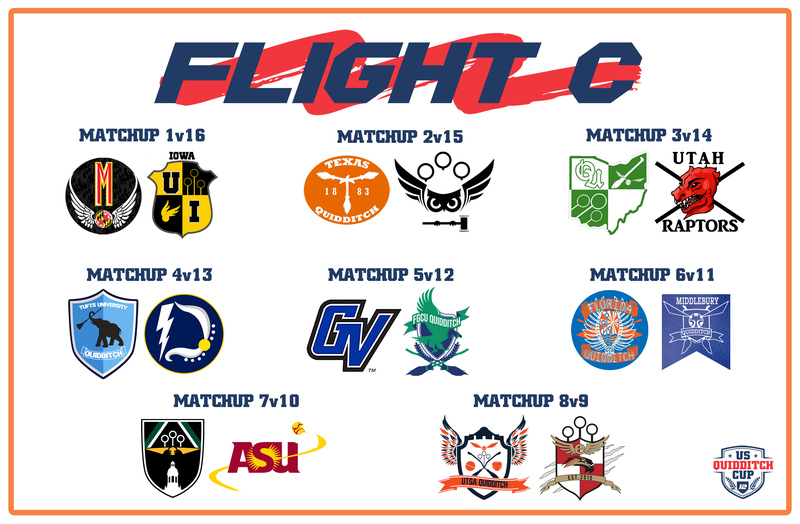 Teams in this flight will play on Saturday at 10:30 AM, 1:45 PM, 5:00 PM, and 8:15 PM. The list below is in alphabetical order. Teams in this flight will play on Saturday at 11:15 AM, 2:30 PM, 5:45 PM, and 9:00 PM. The list below is in alphabetical order. 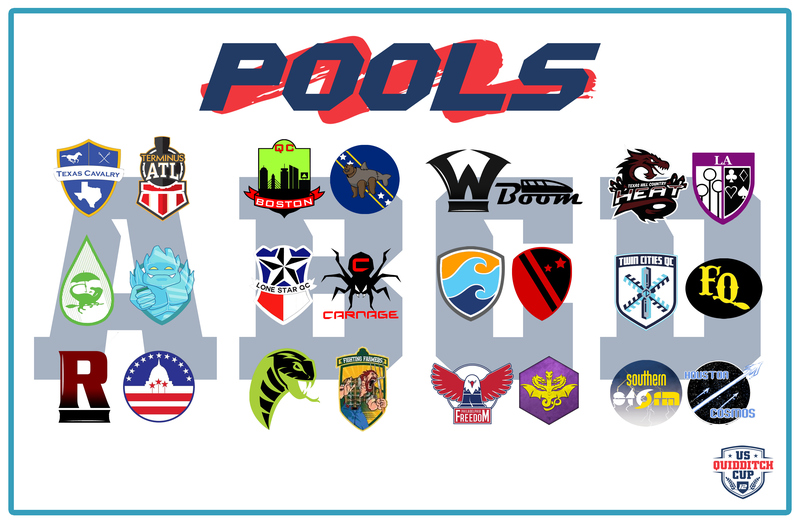 Teams will compete in five (5) pool play games, with four (4) played on Saturday, and one (1) pool play game played on Sunday. Each community pool was paired with a collegiate flight for the Saturday schedule. These pairings were based on avoiding scheduling conflicts for athletes who compete in the community division and also coach a team in the collegiate division. Teams in this pool will play on Saturday at 9:00 AM, 12:15 PM, 3:30 PM, and 6:45 PM, as well as Sunday at 10:30 AM. The list below is in alphabetical order. Teams in this pool will play on Saturday at 9:45 AM, 1:00 PM, 4:15 PM, and 7:30 PM, as well as Sunday at 10:30 AM. The list below is in alphabetical order. Teams in this pool will play on Saturday at 10:30 AM, 1:45 PM, 5:00 PM, and 8:15 PM, as well as Sunday at 10:30 AM. The list below is in alphabetical order. Teams in this pool will play on Saturday at 11:15 AM, 2:30 PM, 5:45 PM, and 9:00 PM, as well as Sunday at 10:30 AM. The list below is in alphabetical order.